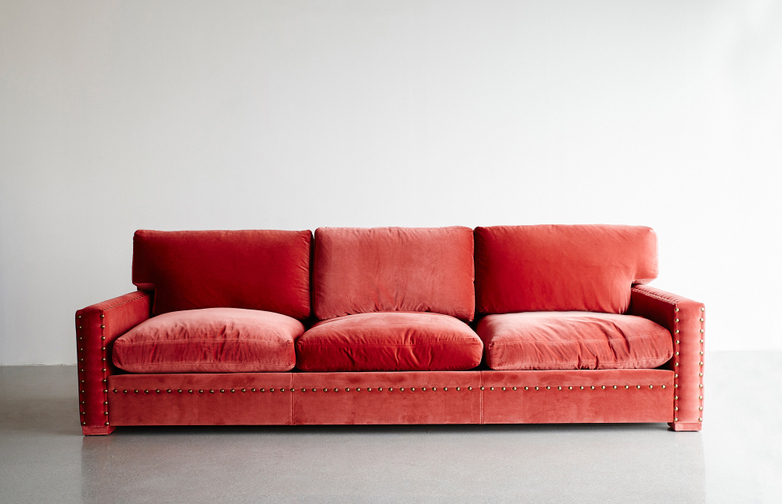 Victor sofa from Caravane is s versatile sofa, with an eye on the past when itÕs studded, a glimpse of the future in bright velvets, and a timeless, casual quality in a white loose cover. 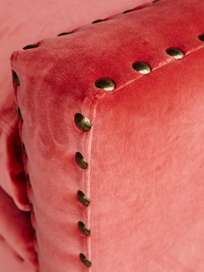 Removable covers on all cushions, brass studs and upholstered legs. 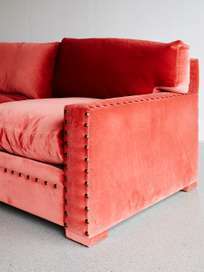 Each sofa and chair is made to order for you, in the fabric of your choice. 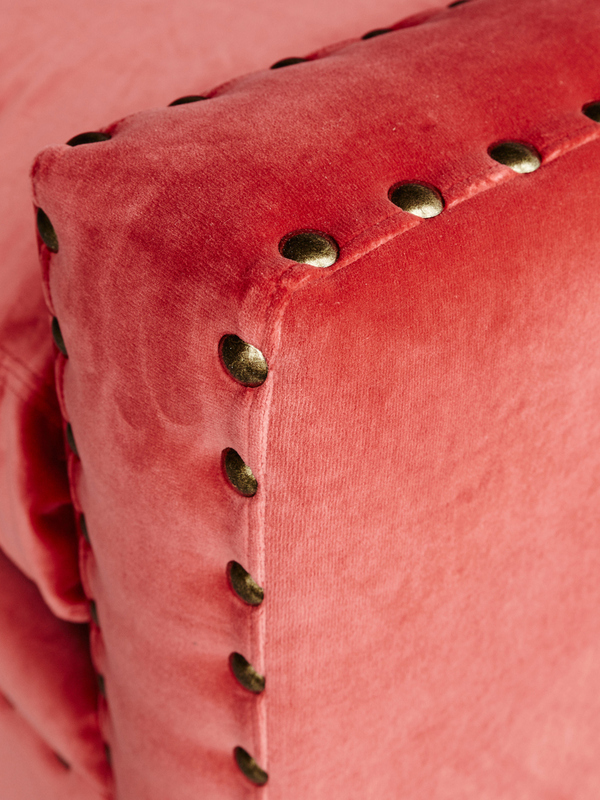 Our prices are based on our selection of fabrics; Sagar and Smooth Velvet.